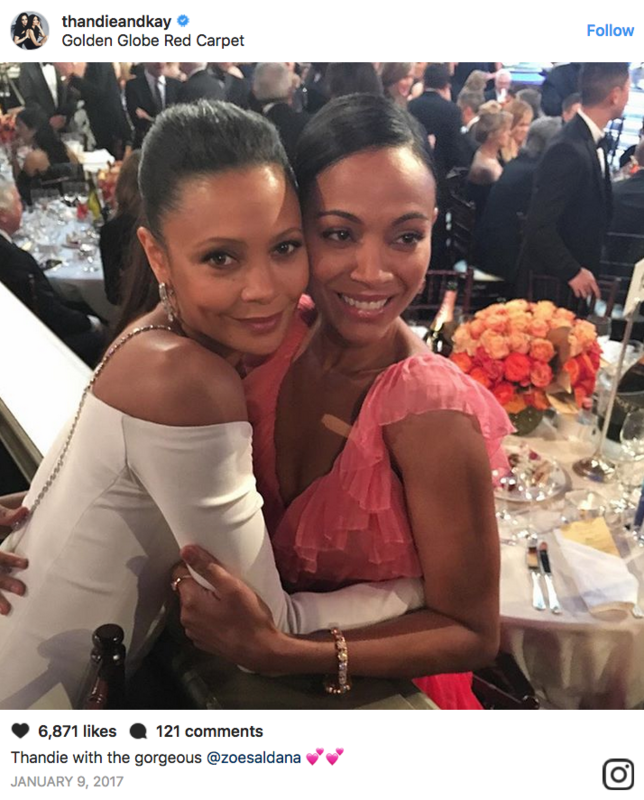 We’d love to join this #GirlSquad, featuring the uber talented Thandie Newton, who was nominated for her role in HBO’s Westworld, and Guardians of the Galaxy star Zoe Saldana, dressed all pretty in pink. She’s done it again. 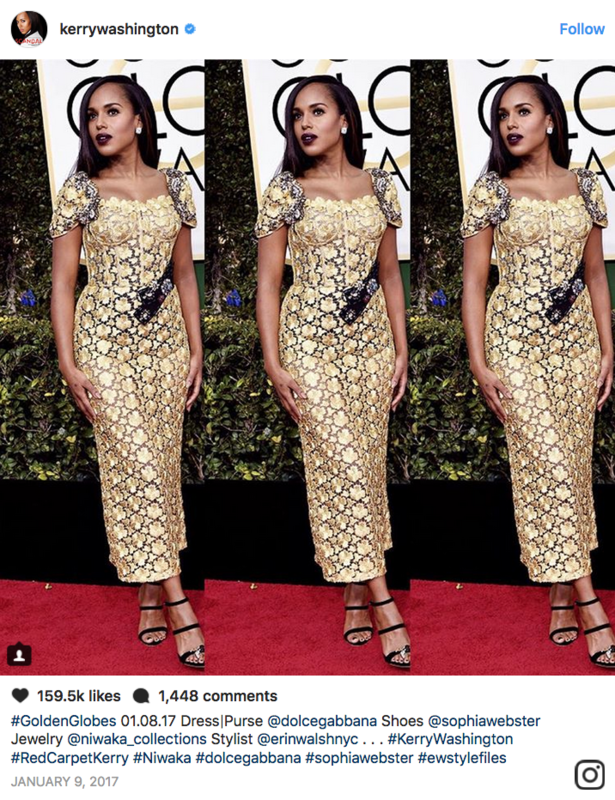 You can always rely on Kerry Washington to put her best foot forward on the red carpet. Everything about her look – from top to toe – is so on point!
. Wow, what a moment. 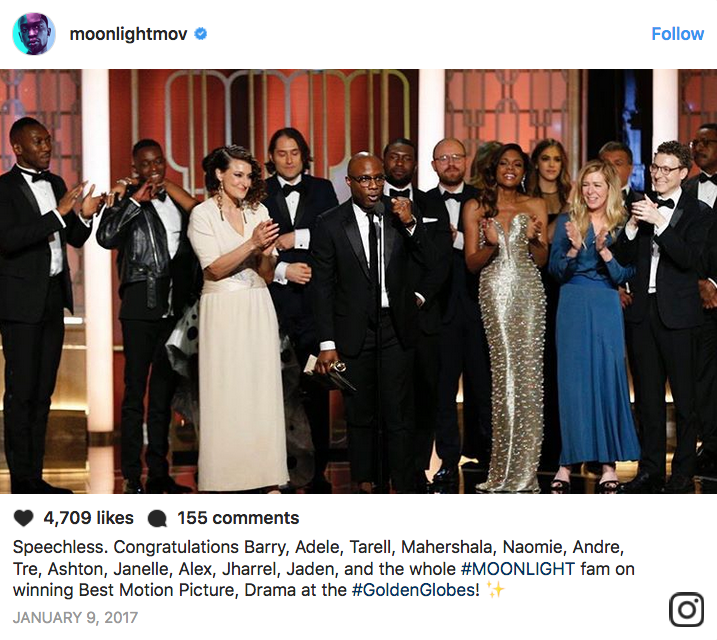 The cast and crew come on stage for a well-deserved ovation. It’s the film of the year – and we can’t wait until it hits UK shores.